It's beginning to sound a lot like Christmas in the local music scene. The really big holiday show of the week is country and pop star LeAnn Rimes, who plays Cal Poly's Performing Arts Center on Tuesday, Dec. 18 (7:30 p.m.; all ages; $48 to $95, plus a $219 VIP meet-and-greet ticket at calpolyarts.org or by calling (805) 756-4849). SANTA, BABY Country and pop sensation LeAnn Rimes presents her holiday show at the SLO Performing Arts Center on Dec. 18. Titled "You and Me and Christmas," Rimes' show will feature holiday classics, soulful favorites, and some of her greatest hits. "I love everything about the holidays and want to share the magic and joy of the season with my fans," Rimes said in press materials. "I look forward to playing some of my favorite Christmas classics for music lovers in a concert that will feel intimate and cozy." 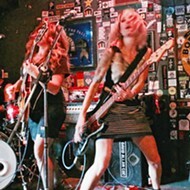 Rimes, now 36, burst onto the country music scene as a 13-year-old with a cover of the Bill Mack song "Blue," making her the youngest country star since a 13-year-old Tanya Tucker struck gold in 1972 with "Delta Dawn," co-written (with Alex Harvey) by rockabilly star and Pismo Beach resident Larry Collins. Since her early success, Rimes has gone on to win two Grammy Awards, three Academy of Country Music Awards, a Country Music Association Award, 12 Billboard Music Awards, and one American Music Award. She's also sold 37 million records worldwide and charted more than 40 singles. The talented performer is also an author of two novels and two children's books! The former child prodigy was performing in Texas talent shows by age 5; did musical theater in Dallas in productions such as A Christmas Carol; got very close to landing the lead in Annie on Broadway; did the TV show Star Search, becoming a weekly champion; and sang a cappella versions of "The Star Spangled Banner" at Dallas Cowboys football games. She was a seasoned performer by age 9! 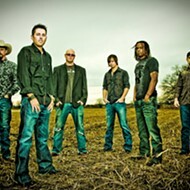 Rimes made the crossover from country to pop music in the late-'90s, and has since become an international superstar. She's also become an actor, appearing in films such as Anger Management (2013), Good Intentions (2010), and Coyote Ugly (2000). Last month she starred in the TV movie, It's Christmas, Eve. Special guest Barry Zito, the major league pitcher-turned-singer-songwriter, will open the show. If this show doesn't get you into the holiday spirit, your heart must be two sizes too small. The Windham Hill Winter Solstice 30th anniversary tour is headed to Cal Poly's Spanos Theatre on Wednesday, Dec. 19 (7:30 p.m.; all ages; $38.40 to $48 at calpolyarts.org or by calling (805) 756-4849). WINDHAM HILL STARS Will Ackerman, Barbara Higbie, and Alex de Grassi play Cal Poly's Spanos Theatre on Dec. 19. The intimate concert features Windham Hill founder and Grammy-winning guitarist Will Ackerman, who'll be joined by Grammy Award-nominated fiddler, pianist, and singer-songwriter Barbara Higbie, as well as Grammy-nominated guitarist and composer Alex de Grassi. Together they'll perform selections from their Winter Solstice composite releases and solo multiplatinum-selling recordings, with support from guitarist Todd Boston. These beloved Windham Hill recordings have withstood the test of time and are holiday classics! If the spirit overtakes you during holiday concerts and you find yourself desperate to join in, the 11th Annual Rotary Christmas and Holiday Sing-Along at Arroyo Grande's Clark Center is the show for you this Sunday, Dec. 16 (4 p.m.; all ages; $12 for adults and $6 for children and students at (805) 489-9444 or clarkcenter.org). The event features community groups onstage, audience participation, a visit by Santa Claus, and holiday sweets and beverages in the lobby after the show! Titled A Swingin' Christmas under musical direction by Tricia Stewart, returning performers will include the Estero Brass, the Lucia Mar Youth Choir, and the Grande Ringers from the Arroyo Grande United Methodist Church. New to the show this year will be the New Life Carolers, the Cross Traffic a Cappella Singers, and spirited local swing dancers, according to organizers. Pianist Dennis Eiler and vibraphonist Brad Lusk will entertain attendees as they arrive. Audience sing-along songs include "Deck the Halls," "Jingle Bells," "Hark! The Herald Angels Sing," "God Rest Ye Merry, Gentlemen," "Joy to the World," and "It's Beginning to Look a lot Like Christmas," with projected lyrics so you can join in. Kerry Irish Productions presents An Irish Christmas at the Clark Center on Saturday, Dec. 15 (2 p.m. and 7 p.m.; all ages; $36 to $48 at (805) 489-9444). Starring Riverdance principal dancer Caterina Coyne, the show will take audience members on a journey through Christmas in Ireland "with superb dancing, singing, and Irish traditional music celebrating the international spirit of the holiday season," according to press materials. World champion dancer Tyler Schwartz and Connor Reider (principal dancer with Celtic Fyre and The Chieftains), as well as members of The Kerry Dance Troupe, The Kerry Voice Squad, and The Kerry Traditional Orchestra, join forces to create a memorable night the whole family will enjoy. 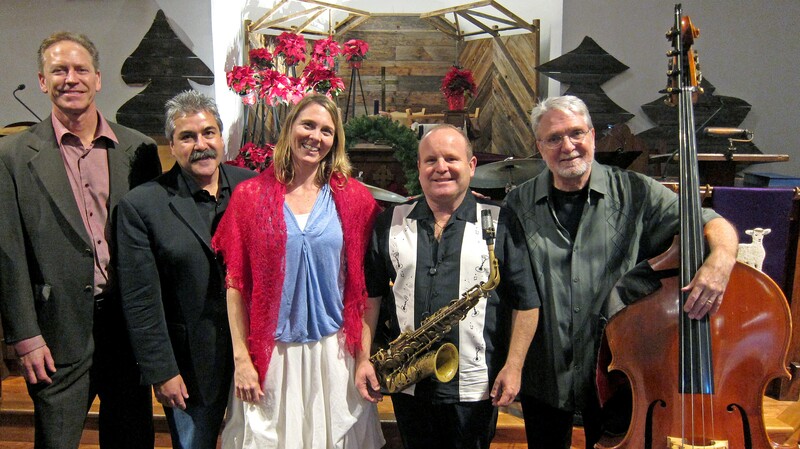 A special Christmas Jazz Vespers concert with the George Garcia Quartet and vocalist Inga Swearingen happens this Sunday, Dec. 16, in SLO's beautiful First Presbyterian Church (7 p.m.; all ages; $15 recommended donation for Lifewater International, a non-profit organization that provides clean water and sanitation solutions to vulnerable children and families around the world; tickets available at brownpapertickets.com). GOT JAZZ? Enjoy a special Christmas Jazz Vespers concert with the George Garcia Quartet and vocalist Inga Swearingen on Dec. 16, in SLO's beautiful First Presbyterian Church. These are stellar musicians, with George Garcia on piano, Gary Drysdale on guitar, Ken Hustad on bass, and Darrell Voss on drums. Inga Swearingen, who won the Montreux Jazz Festival Shure Vocal Competition and made several appearances on A Prairie Home Companion, has a breathtaking voice! Expect original arrangements of classic Christmas carols and reinterpreted seasonal music. You can join the 90-voice San Luis Obispo Master Chorale this Saturday, Dec. 15, in the SLO Performing Arts Center for the fourth annual Messiah Sing-Along extravaganza (7 p.m.; all ages; $15 at (805) 756-4849). "Come one, come all, and if you love to sing, bring your vocal score, or borrow one of ours for the evening," organizers said. "If you don't want to join in singing, let the beautiful sounds of Handel's music surround you in beautiful Harold Miossi Hall. Music Director Thomas Davies promises an evening of grand celebration!" LA's remarkable Westwood Brass will add to the festive spirit, along with Paul Woodring on the grand Forbes Pipe Organ. 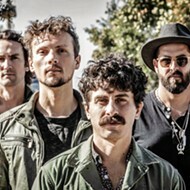 Numbskull and Good Medicine Presents brings excellent party band The California Honeydrops to The Siren on Tuesday, Dec. 18 (7 p.m.; 21-and-older; $25 presale at Boo Boo's and ticketfly.com or $30 at the door). Celebrating their 10th year of making amazing R&B together, the band is touring in support of their seventh studio album and first ever double album, Call It Home: Vol. 1 & 2. 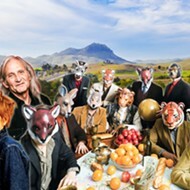 "The whole point is to erase the boundaries between the crowd and us," vocalist and multi-instrumentalist Lech Wierzynski said in press materials. "We don't make set lists. We want requests. We want crowd involvement, to make people become a part of the whole thing by dancing along, singing, picking the songs and generally coming out of their shells." Also this week at The Siren, check out Southern rockers Saving Abel with hard rock openers Black Oxygen and Rusted Stone on Saturday, Dec. 15 (7 p.m.; 21-and-older; $15 presale at Boo Boo's and ticketfly.com or $18 at the door). MAN, MYTH, LEGEND Dr. Eugene Chadbourne returns to SLO on Dec. 13 for an intimate show at A Satellite of Love. 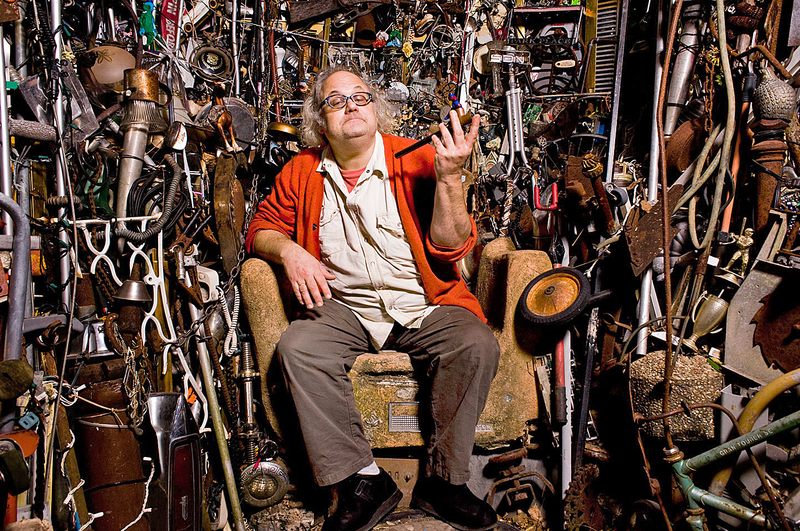 The legendary Dr. Eugene Chadbourne (Shockabilly, Camper Van Chadbourne) returns to SLO this Thursday, Dec. 13 (7 p.m.; all ages; $5 suggested donation), for a show at A Satellite of Love (1335 Walker St.). He'll be accompanied by young Ojai skronkmeisters Rob Magill (sax and guitar) and Daniel Masiel (guitar), and Morro Bay musician Abe Gibson (percussion and guitar), who recently returned to performing after a decade-long hiatus. "We'll be performing improvised and otherwise music," Gibson explained. "I guess I should also mention that in addition to making music for the last 45 years, Eugene published his dream diary/autobiography a few years back. It's called Dreamory and is nearly 1,200 pages long!" 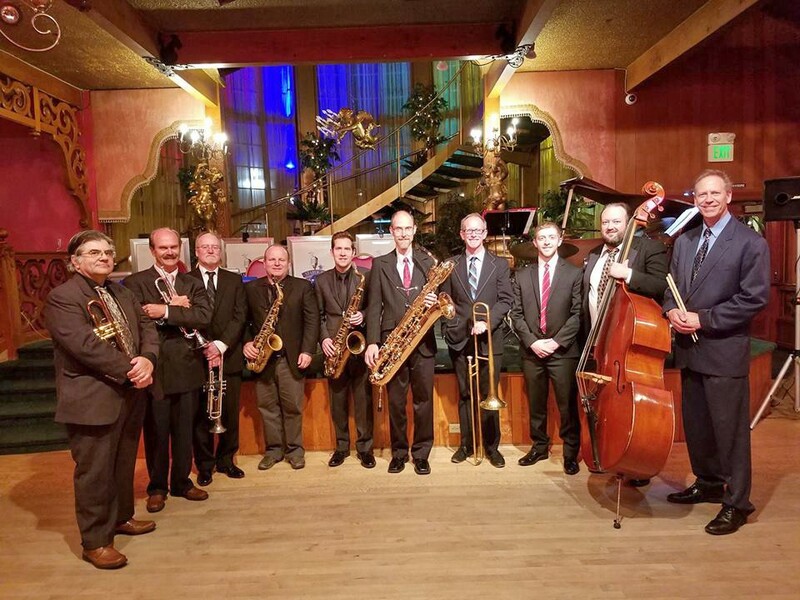 BIG BAND SOUNDS The Starlight Dreamband plays the Pismo Beach Vets Hall on Dec. 16, delivering music perfect for dancing or listening. The Basin Street Regulars hosts hot jazz bands The Starlight Dreamband and Pacific Swing this Sunday, Dec. 16, in the Pismo Beach Vets Hall (1 p.m.; all ages; $10). Hear big band classics as well as swing, bebop, Latin, and more progressive jazz styles. 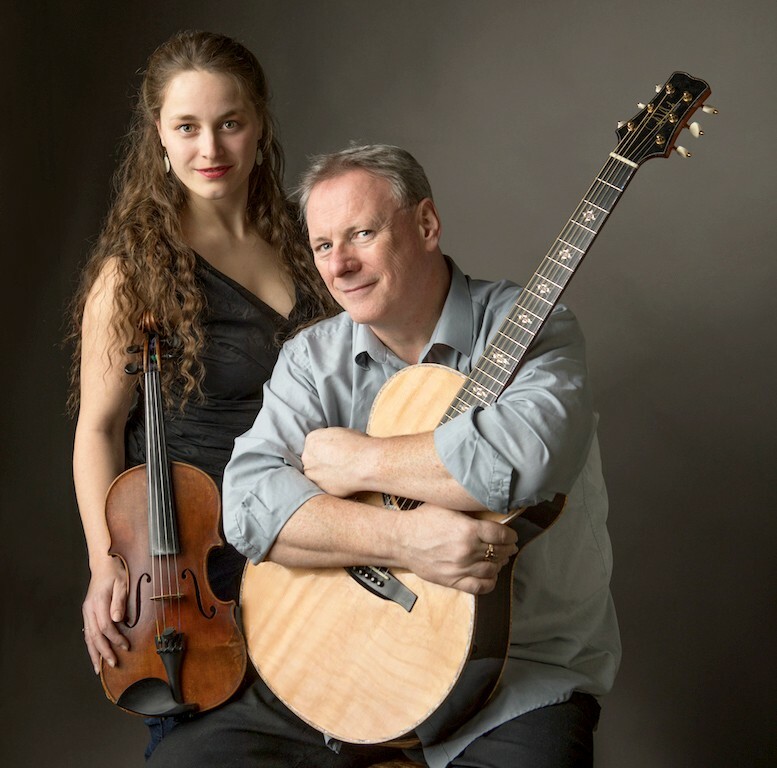 EMERALD ISLE The Painted Sky Concert Series presents an evening of stellar Celtic guitar and violin with Tony McManus and Julia Toaspern on Dec. 16. The Painted Sky Concert Series presents an evening of stellar Celtic guitar and violin with Tony McManus and Julia Toaspern this Sunday, Dec. 16 (8 p.m.; all ages; $20 at Boo Boo's, Ball & Skein, or by calling (805) 927-8330). 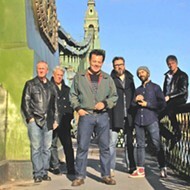 Scottish-born McManus is one of the biggest names in Celtic music, and Toaspern is a talented musician from Berlin trained in violin and voice.